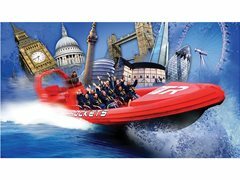 Thames Rockets are the #1 speedboat operator as voted for on TripAdvisor. We provide outstanding experiences on our fleet of speedboats on the river Thames. We are currently on the lookout for Guides to join our team. We are a small team with a big personality and this is a perfect job for those looking to support other commitments. It's flexible, fun and fast! Our guides are responsible for entertaining our valued passengers on their #1 speedboat trip. Warm, personable storytellers with a big personality! £15 per tour (hour) probation up to £20 per tour (hour) upon sign off.